Why are certain challenges so attractive to some and so unattractive to others? We all have our own particular stimulae and tastes in life. 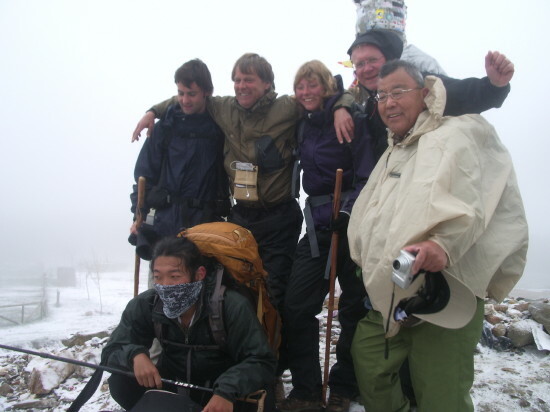 I like walking and have always liked reaching a summit,it always feels like a challenge for me albeit a small one. The sensation on reaching the top feels like an achievement and the views always make the walk up worthwhile. For some simplistic reason I find doing something which is an achievement is always fun. 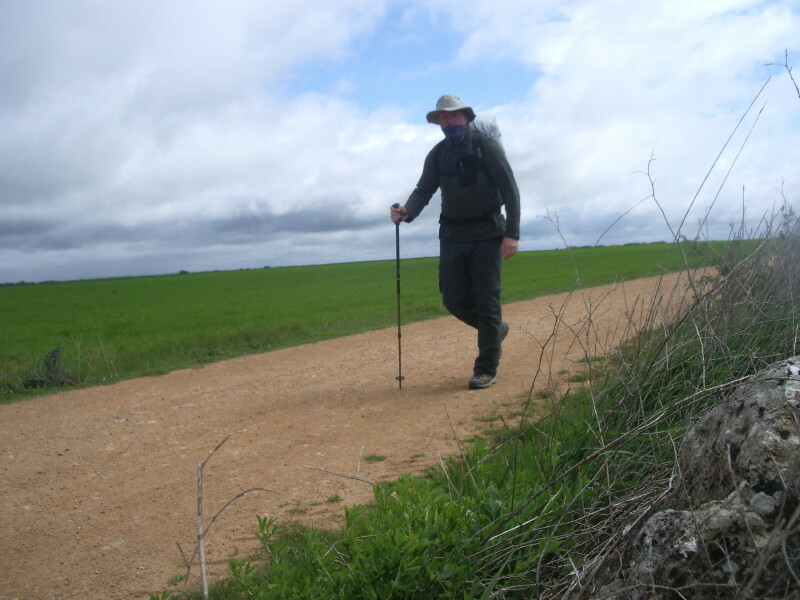 Logically then when I decided to do El Camino de Santiago(The Way of St.James) two years ago I saw it as a challenge and I knew it was going to be hard with lots of different terrain, weather, blisters, tears, new friends, companions, and a wide variety of sleeping arrangements. 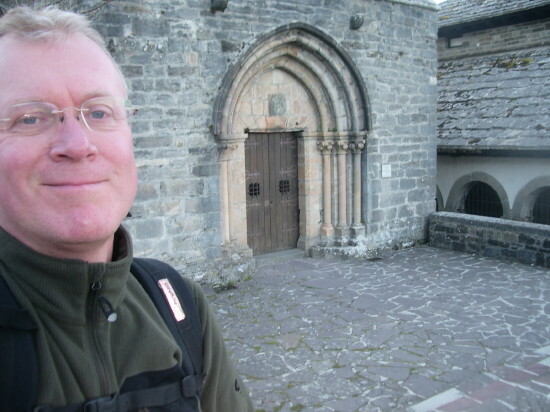 My starting point for El Camino was in Roncesvalles,Navarra near the French border. 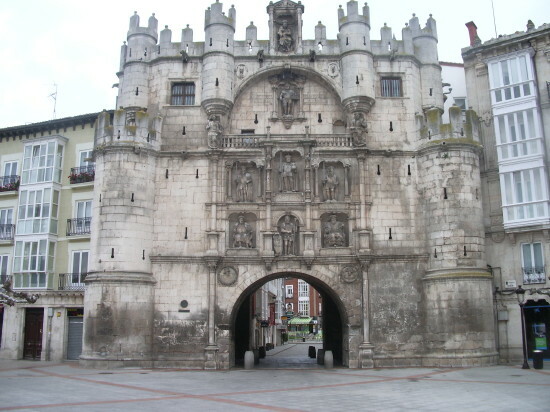 I arrived there at 6.30am after a sleepless night on the overnight bus from Valencia to Pamplona and from there in a shared taxi with a Madrileño father and son to Roncesvalles. I had breakfast in a small bar and saw cheery fellow Peregrinos(Pilgrims) marching off down the road and heard shouts of “Buen Camino”. So I thought, “This is it! Here we go!”. 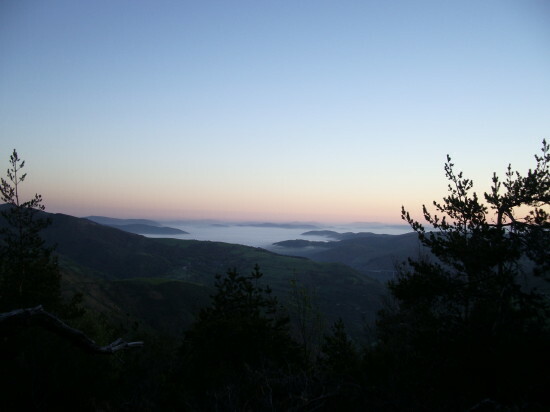 The coffee paid for,I shouldered my carefully packed and weighed rucksack and left the bar and walked a few metres along the road following the yet to be familair yellow arrows in the direction of Galicia. Stopping to adjust my straps I saw right in front of me a sign that said, “Santiago: 770kms”. The weak early morning spring sun was shining through the trees, a slight mountain breeze chilled the air and the adventure was beginning.It was an exciting moment. So how many footsteps would it take me to get to Santiago? I thought about it a while and yep just over a million if you calculate your average footstep to be 0.70 metres. A million footsteps….sounds alot !! Would I make it? Would I get blisters,injured,would I drop out or would my month’s training pay off? When you do El Camino you sleep in albergues( basic hostels of varying standards) which are dotted along the path every so many kilometres.They are a haven for sleeping, resting, washing and eating.The haven also comes with the smelly feet(including your own! ), overeager walkers getting up at 4.30/5 in the morning and waking everyone else up by rustling their plastic bags and rucksacks(no prizes for guessing their nationality! Well not always but usually).And ,of course,the albergues are notorious for choir-snoring.Oh,You’ve never heard of choir-snoring? Well, basically it is an informal group of people(more or less twenty,depending on the night) who insist on giving a full repetoire of not very syncronised nasal noise. Arriving in food and wine paradise! wants just to sleep and recuperate some energy for the next day’s hike across the beautiful countryside of Northern Spain.Having said that I am sure I gave as good as I got! 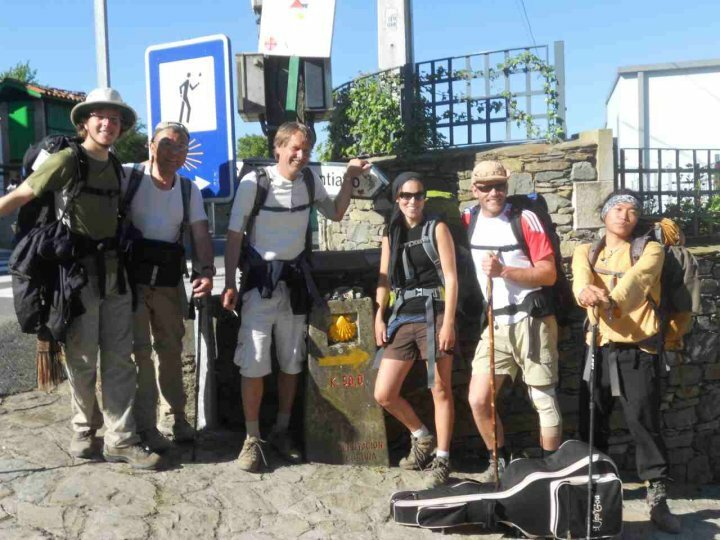 WooSoek from S.Korea (front left) carried and played his guitar across Northern Spain. Here we are stopping singing with some really fun Brazilain friends from Southern Brazil(I spent days trying to pronounciate their names properly) and some Spanish friends. Not wanting to bore you with four weeks walking, I will just say that the walking becomes relatively easy by the second week…tiring but fun. I saw some bad blisters(including infected ones) and some bad injuries.One guy dropped out because of tendon problems and the Madrileño Father from my shared taxi dropped out with an injured leg. But as you progress along the route the campanions who keep on become not only your fellow pilgrims but friends. Gerard from Barcelona…what a crack of a guy! 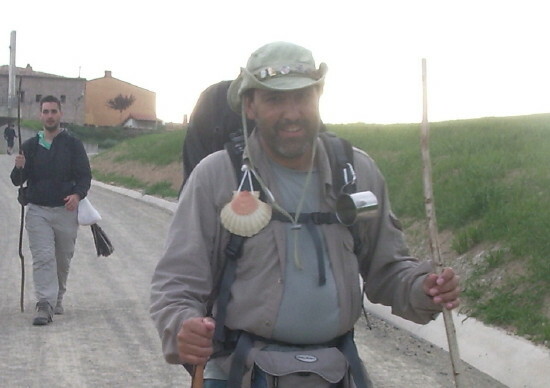 Juan Carlos(in the background,from Salou) was an inspiration to all and Ricardo (Brazil) one of the bravest on El Camino.He soldiered on with infected blisters on both feet. 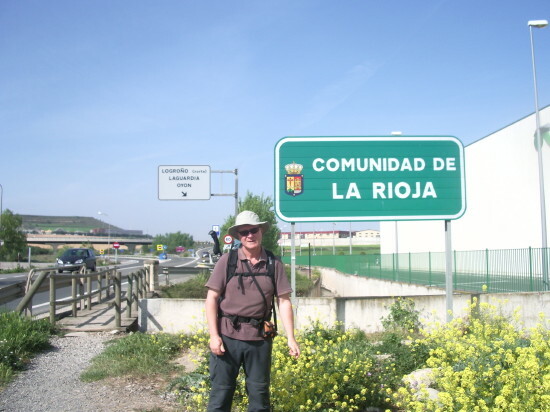 And if you love Spain or want to explore it this is a great way to see the North of the country.You pass through historical towns, picturesque villages,beautiful countryside and stop where you feel like it.There are plenty of bars(it is Spain after all!) and shops along the route so you dont need to carry much food(a bit of fruit,sandwich,water etc) . You see and can visit some of the best historical architectural buildings in the country(There are so many you even get a bit blaisé about seeing so much impressive architectural heritage but here are two excellent examples: Santa Maria de Real Monastery in Najera or the town of Santo Domingo de La Calzada). Every step of the way has something and even the smallest details are highlighted by your enthusiasm. One of the coldest days and on my own. Whilst walking across the unfolding map of green countryside you begin to realise after a few days that the hardships are not really hardships as long as you take them in your stride! The walk is fun and challenging but what really makes El Camino are the people you meet and the friends you make.You share something that is very hard to explain to someone who hasnt done the walk.I made friends with Spanish, German, Japanese, Korean, Finnish, Dutch, Brazilian, S.African, Italian, British, French, Swedish and American pilgrims to name the principal nationalities. Everyone on El Camino has a common aim: To reach Santiago.This makes everyday life simple.You eat,walk,wash,eat again,sleep and then do the same the next day.By the end of El Camino you have shared something very special.It is a unique experience.We trudged through rain, snow, sunshine, mud, fields,water, up and down hills,through dark and beautiful woods,under and over countless bridges, through all types of scenery and stopped over in some of Spain’s great historical cities and towns such as Pamplona, Estella, Najera, Logroño, Burgos, Leon, Astorga and Ponferrada and passing through some of the best wine country in Spain. Good friends Pablo from Pamplona,Christian from Germany,Akiyama from Japan and a Spanish bloke,the Gourmet Guy who ate in the best restaurants across N.Spain. The tapas and wine in most places were simply fantastic.Some of the best moments shared with friends were whilst visiting a medieval chapel in the middle of nowhere or coming upon a group of Brazilian friends on a blistering hot day in the shade of the only tree visible for miles. Or seeing the same strange man walking the wrong way on three consecutive days! Or sitting and having a beer with your fellow “pilgrim friends” waiting for others to catch up. 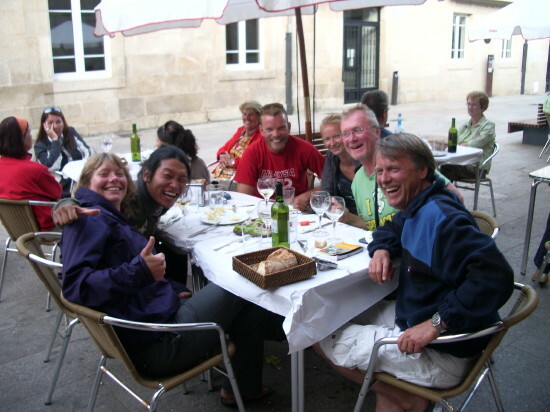 Camino Friends: Marike(front left),WooSeok,Martin,,Anna,Me, and Christian. Or sharing a meal cooked by WooSeok the best cook and guitarist on El Camino and having a laugh over a glass of wine afterwards. Or seeing snow on the ground on 15th May. My cousin Guy,Sisters Teenie,Bridget and Lesley and my Brother in Law Ian who joined me for the last 110 kms. Or walking along through the woods and hills of Galicia to the sound of guitar,discussing life,the future,literature,the flowers or whatever you or your fellow travellers feel like talking about…..and so and so on. Two of My Megatrained sisters!!!! Ha ha .Not! When you get back to real life it takes some adjusting to because El Camino for all it’s uniqueness, is a bubble which stimulates your senses but is not reality…..Daily life is. But I cant wait to go back and do it again..I dont know when but I do know that I will. If there is one thing I learnt from El Camino it is that you have to value what you have in life. It was the first time I was away from Julia and my family for such a long time, 33 days, and seeing them again reemphasized how very important they are to me.A special thanks to Julia for her (lifelong) support. I fully recommend doing this walk. It really is a trip of a lifetime and you will make some very special friends. And most of all you will learn some hometruths about yourself! 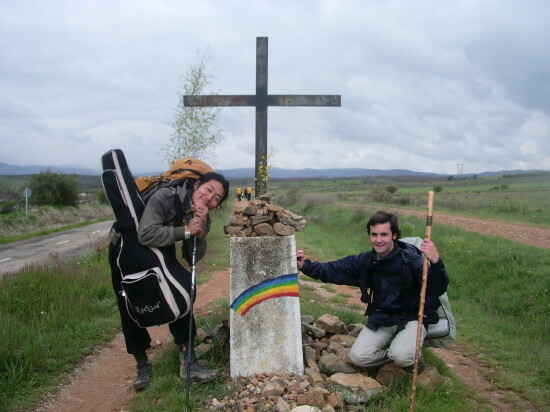 This entry was posted in El Camino de Santiago, El Camino Frances, Spain, The Way of St.James and tagged El Camino de Santiago, El Camino Frances, friendship, hiking, history, rucksack, Spain, spanish culture, walking by Paddy Waller. Bookmark the permalink. Oooh I got all emotional reading that, Paddy. What a journey, very interesting, thanks. I’ve heard about this walk, but never read about it, so I loved reading your post. I may just put this on my (endless) to-do list. You are an experience richer! I’m so glad that, two years later, you’ve posted about your journey! 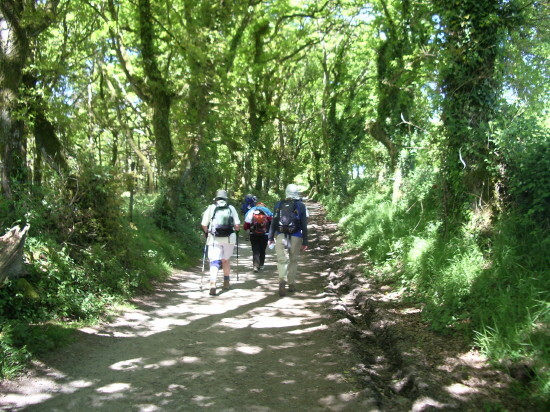 My heart aches to get back to the Camino and do the whole journey start to finish. My eight days on the trail were so incredibly magical. Thanks for sharing your experience! And Thanks too, Miss Footloose for your kind words.El Camino is really worth doing. And Erin, Thank you for your fellow Peregrino comments!Cant wait to read about when you do it again. “Choir snoring” – love it! 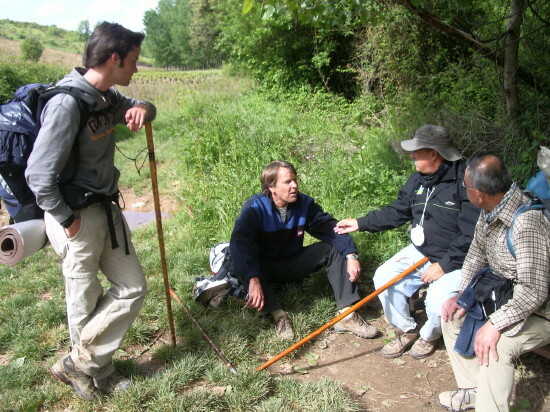 Love reading about someone else’s experiences on the Camino, and I, too, and waiting to do it again! Mr Waller was a privilege to reed your article, “than you”. Well done !!! Emotional, simple and real. Mr. Waller was a privilege to read your article, “thank you”. 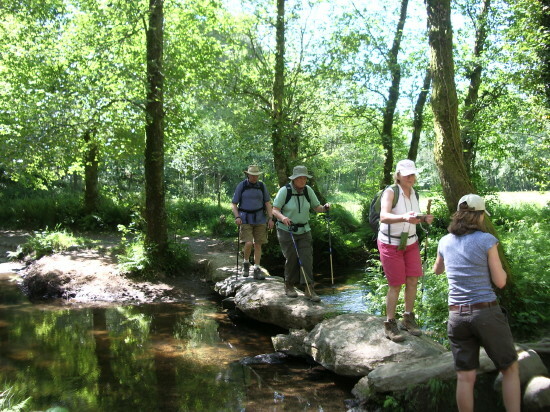 So looking forward to walking the Camino. Thank you for this inspirational account! A pleasure Enid! Enjoy your trip.Buen Camino! Wow Paddy, well done you, what an achievement! Well done! Thanks Lorna….I think it is something most people can doo(many thousands do it every year of all ages) and it is more a mental thing. Wow, great trip down memory lane! We just walked 300km of the Camino this past May/June. The people were what totally made the experience for me. I put up with the snoring because I loved running into Dr. Spaghetti and the Italian crew who loved singing 1960/70s American music. 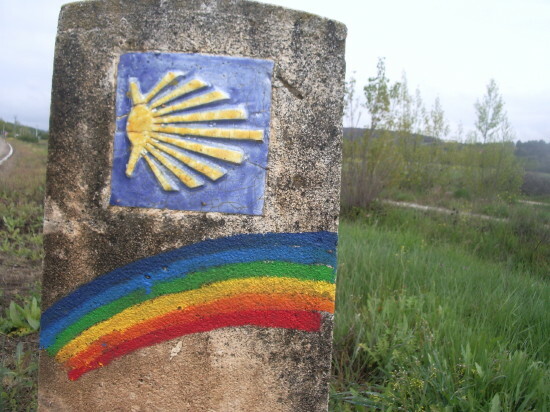 I cannot wait to return and walk the full Camino.